The value of the euro compared to major peer currencies is already dropping as the financial effects of the Greek ‘No’ vote in Sunday’s referendum filter into the global market. With analysts predicting banks facing funding crises and individuals unable to take their money from ATMs, volatility is set to reign for some time. Bloomberg reports analysts are tipping the investment winners in the situation to be Treasuries and German bunds, benefiting from a “flight to safety”. With currencies trading throughout the day, the euro began to fall as soon as the outcome of the referendum became clear, even with most traders in Tokyo and Hong Kong yet to reach their desks. The drop is said to herald the start of what is expected to be a volatile week for global financial markets as institutions such as JPMorgan Chase & Co say Greece exiting the eurozone is now the base-case scenario. 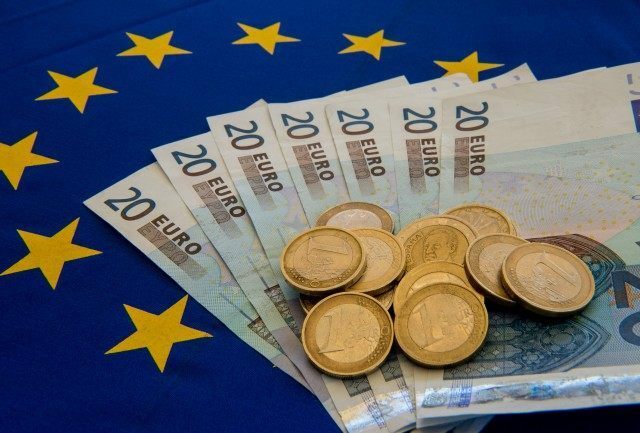 The euro lost 1.1 per cent to $1.0992 by 6:12 a.m. Tokyo time, its weakest level since 29 June, also slipping 1.7 per cent against the yen and 1 per cent versus the pound. Greece may only account for less than 2 per cent of eurozone output, but a ‘Grexit’ risks setting a precedent of reversible membership. It was not the only currency to lose value. The Aussie fell 0.9 per cent to 74.52 U.S. cents, the first time it’s broken 75 cents since 2009, and New Zealand’s dollar slipped 0.6 per cent. This was also related to regional difficulties involving China where initial public offerings were suspended, as brokerages pledged to buy shares and the state media tried to limit investor panic as officials intensified efforts to stop the steepest plunge in equities the country has seen since 1992. Sticking with that prediction ING Groep NV predicts a possible surge in German debt as investors move to haven assets following the ‘No’ vote. The full extent of that surge is dependant on the creditors and how tough they are on Greece, with ING saying the tougher they sound the further away a deal will appear. The absence of a probable resolution will mean less appetite for risk and the higher the surge will go. Greece must therefore look to the European Central Bank (ECB) for emergency loans. The ECB will in turn look to European Union leaders to see whether in the absence of an agreed bailout package they approve of further funds flowing to the Greek banking sector, which was mostly closed for the duration of the referendum to prevent the collapse of the Greek financial industry. In any case, the coming days and most likely weeks look set to be the most volatile global financial markets have seen for some time.